First of all, the formula. 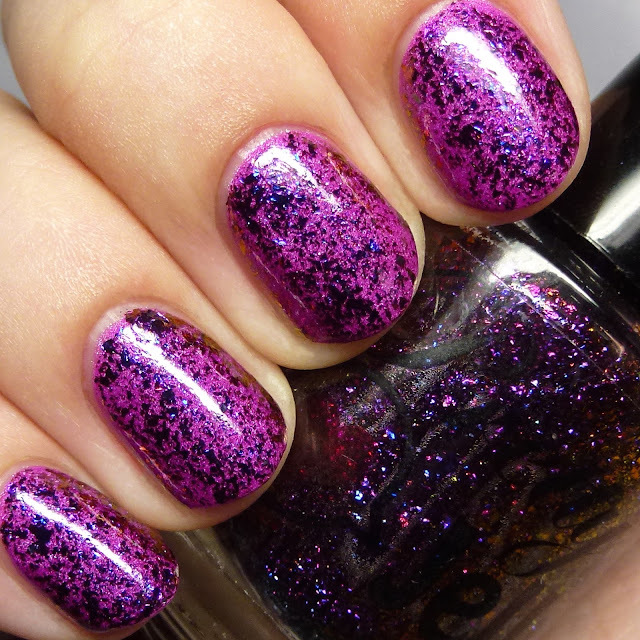 These dry quickly and the flakes spread very evenly over the nail. 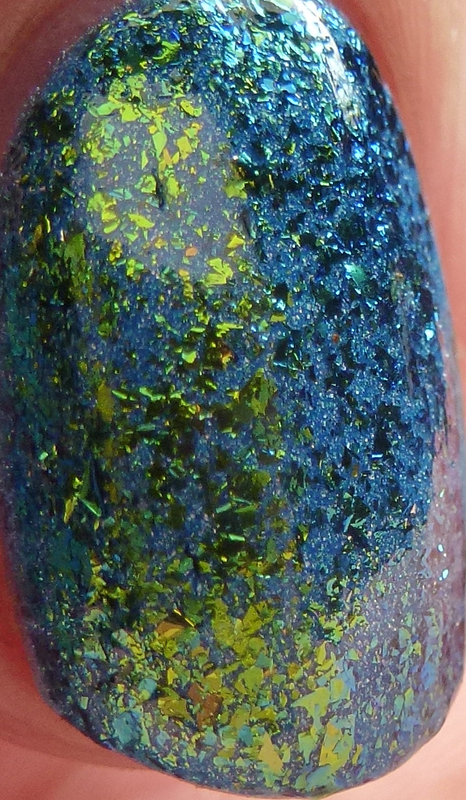 When used as layering polishes as shown below I did only one coat with plenty of pay off. It may be possible to get them nearly opaque on their own with normal brush technique in four to five coats, but I chose to also try them sponged as full manis. 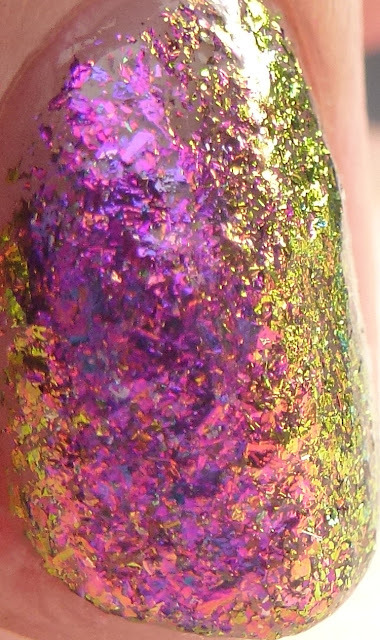 What you do is take a makeup cosmetic sponge and paint the polish on the sponge, which absorbs the extra base. 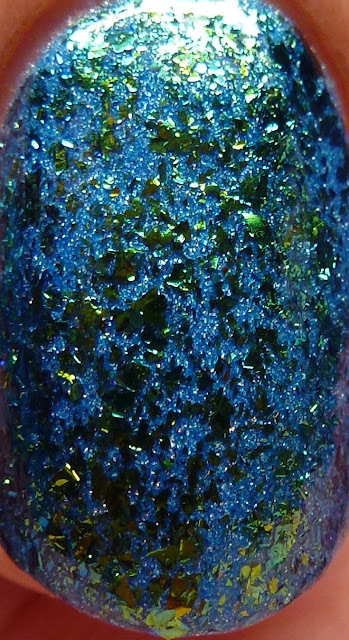 With a liquid rubber barrier applied to the skin around your nails, you sponge on the flakes until opaque. It may take several layers to get complete coverage. 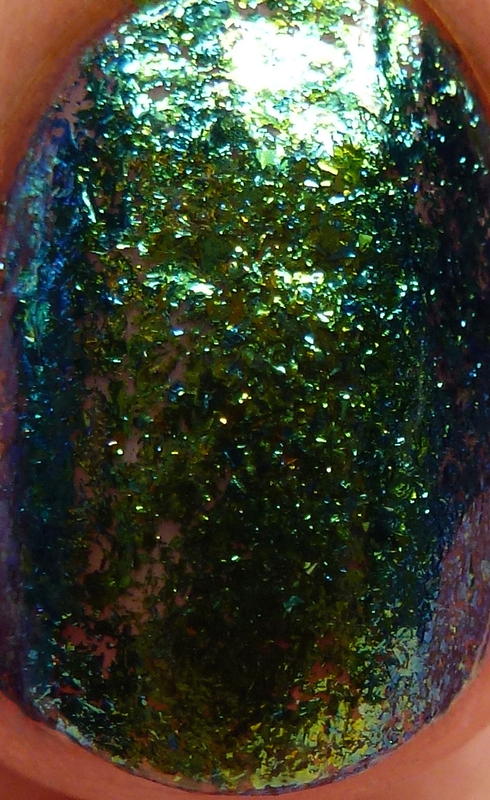 Then you peel off the rubber barrier and clean up. 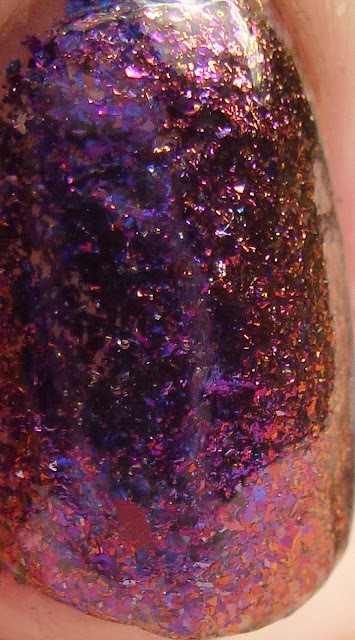 I did end up with a bit of multichrome fragments around my skin but after several hand washings they were gone. Dalliance is a fuchsia-to-green multichrome flake in a clear base. It is shown here layered in one coat over Pretty Jelly Nail Polish Book Fair and sponged to opacity on its own. 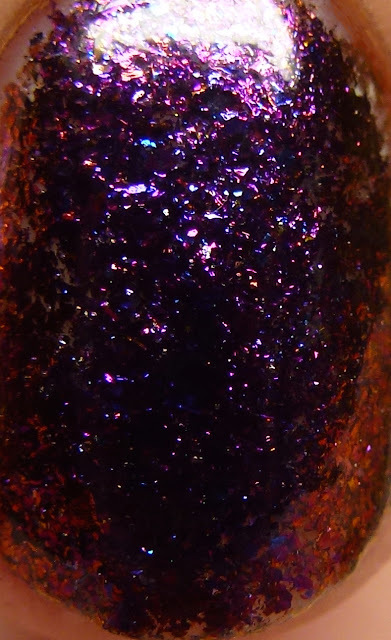 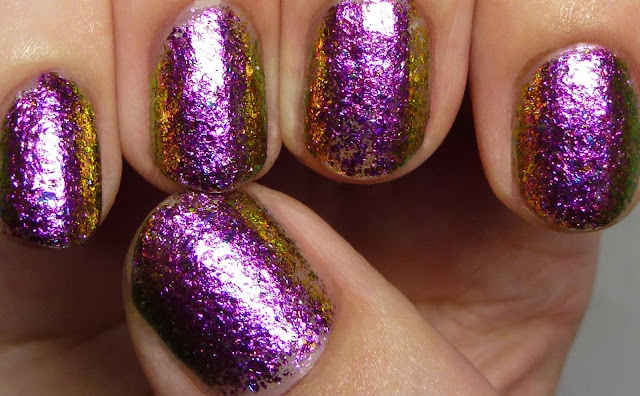 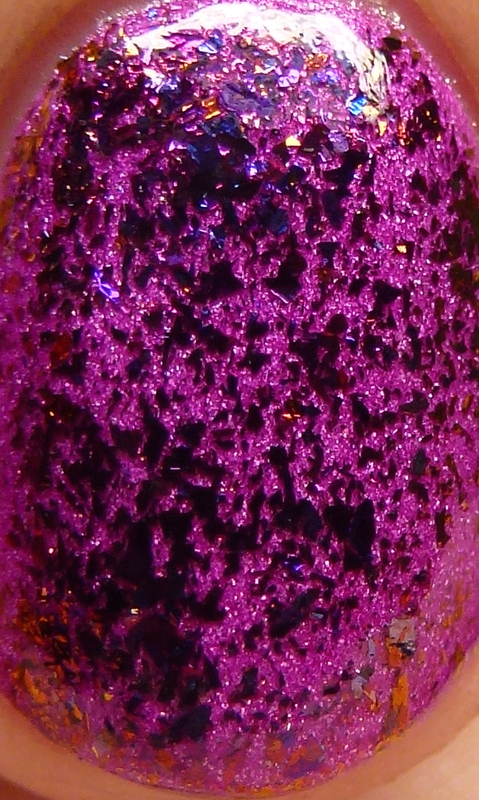 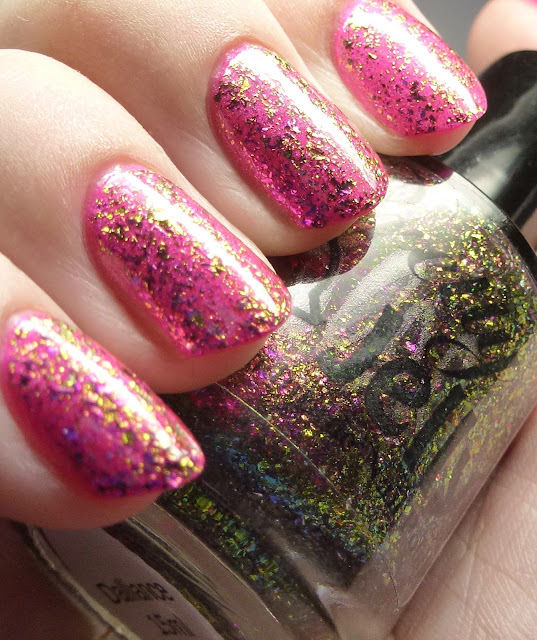 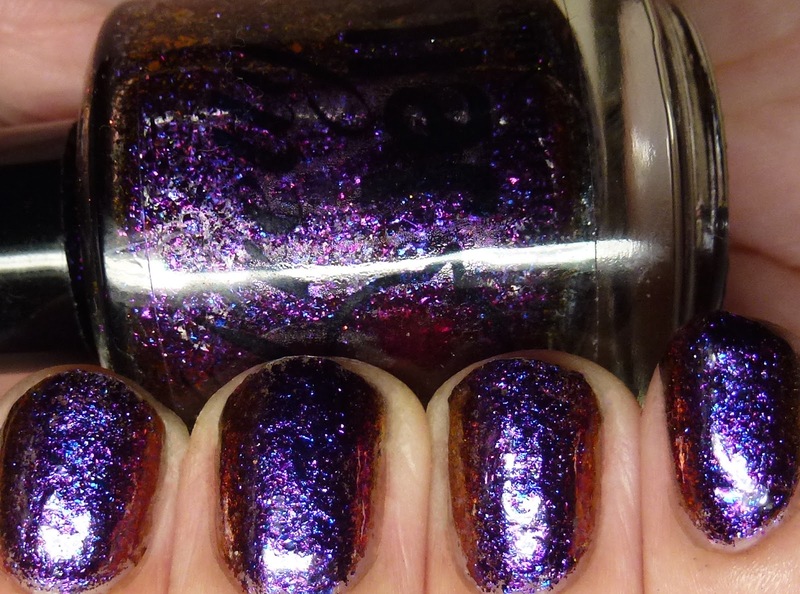 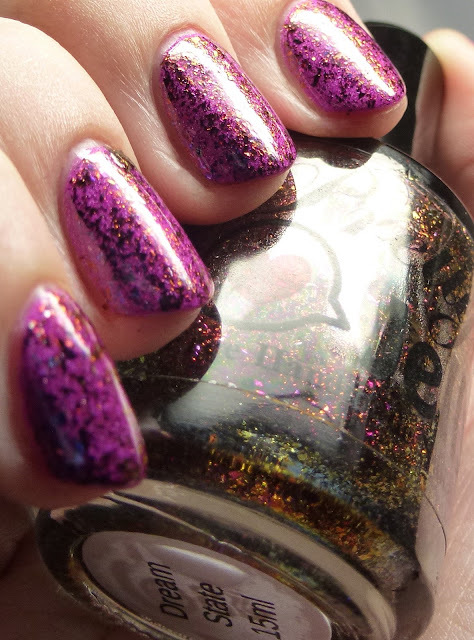 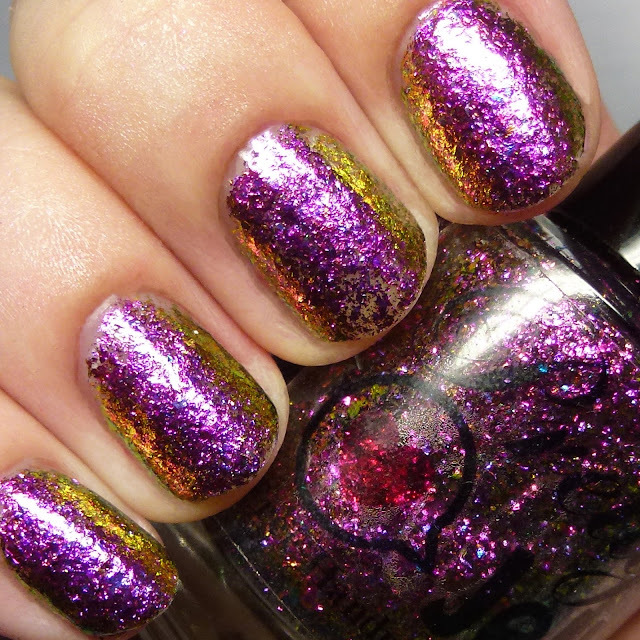 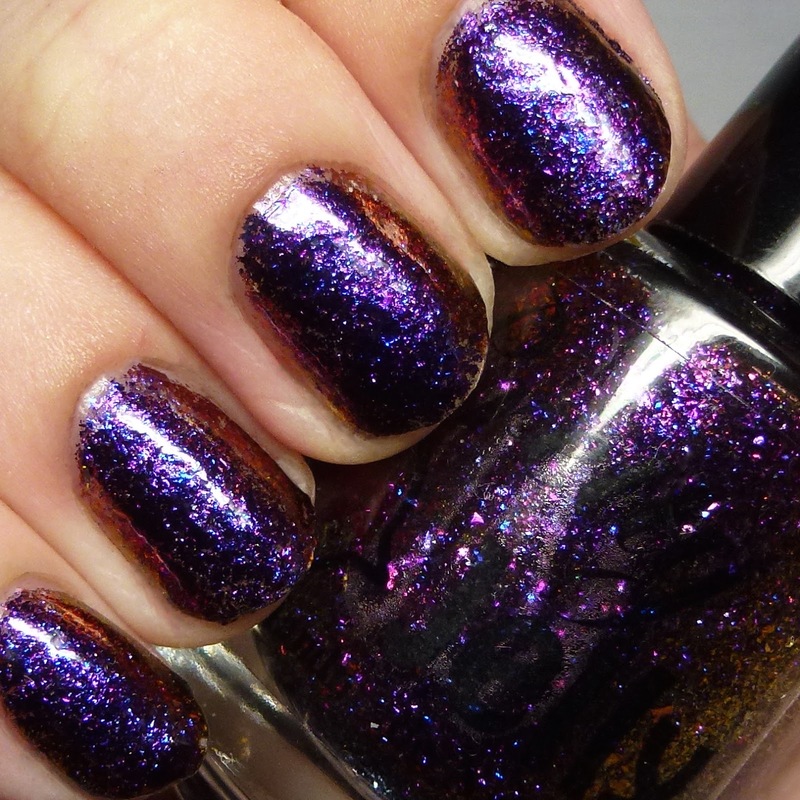 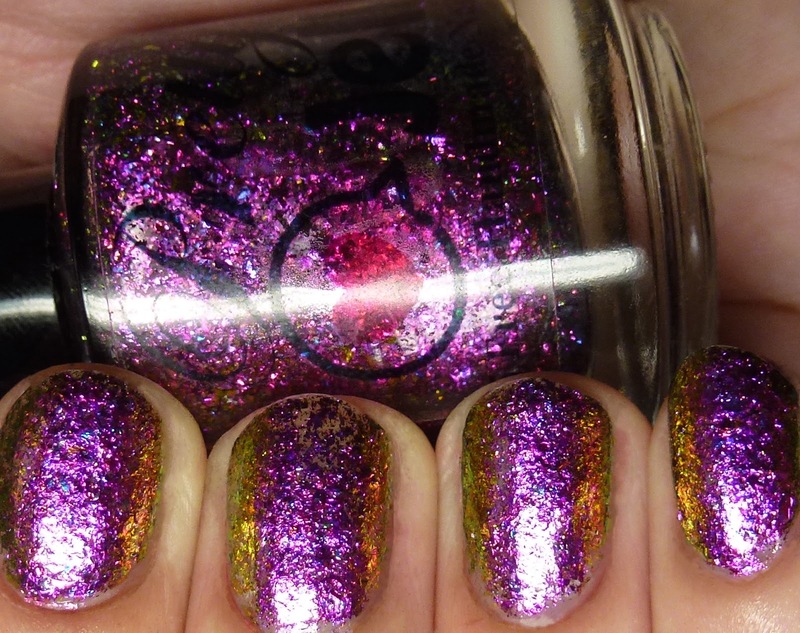 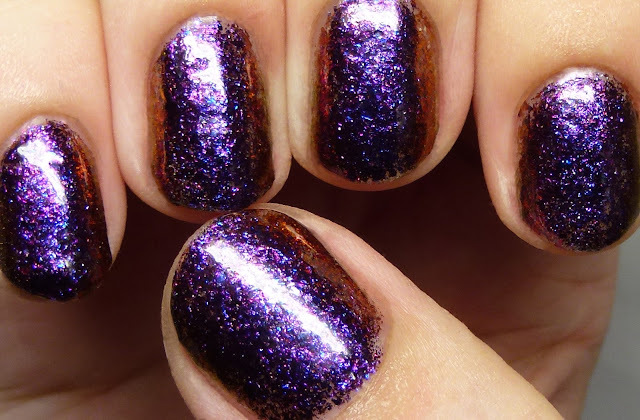 Dream State is a purple-to-bronze multichrome flake in a clear base. 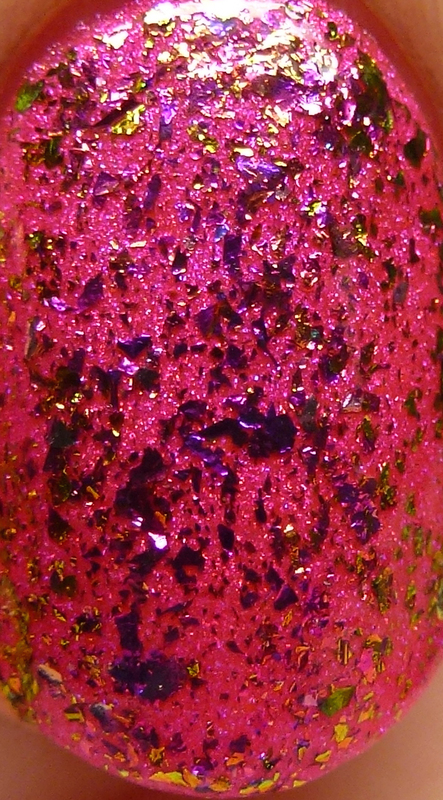 It is shown here with one coat layered over Pretty Jelly Nail Polish Scented Markers and sponged to opacity on its own. 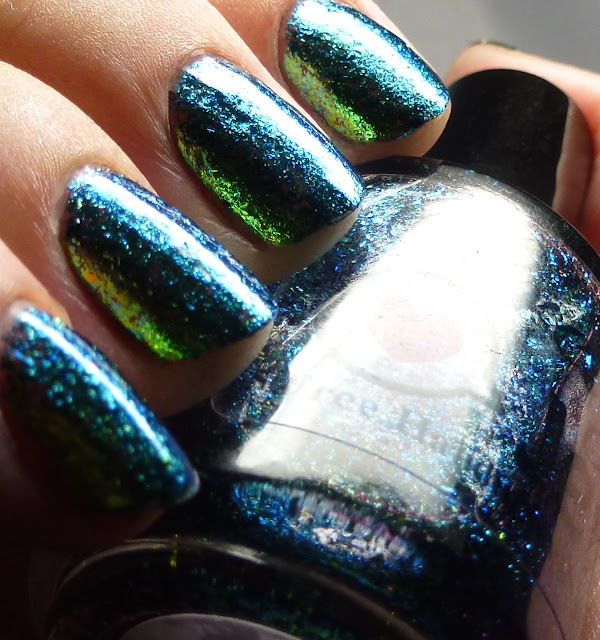 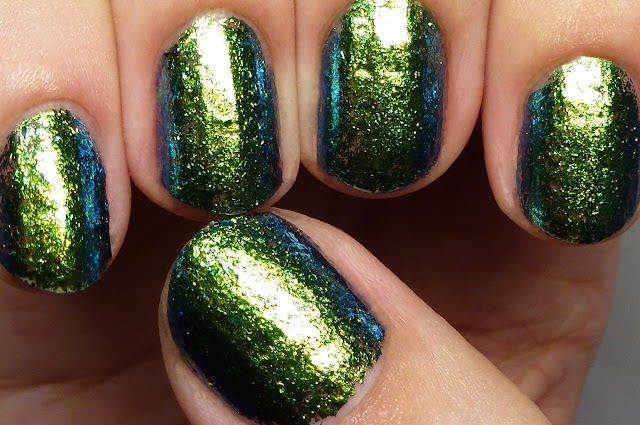 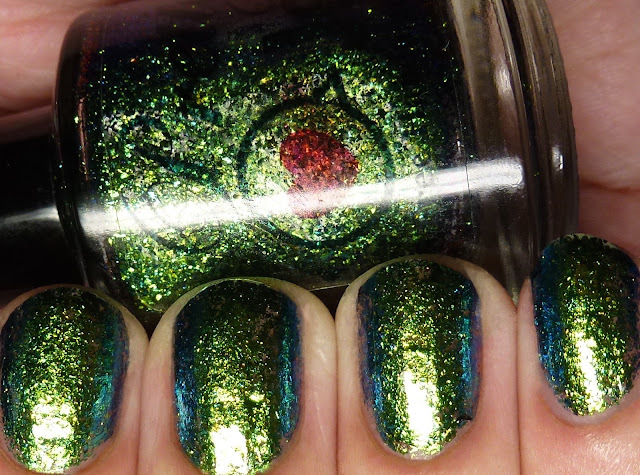 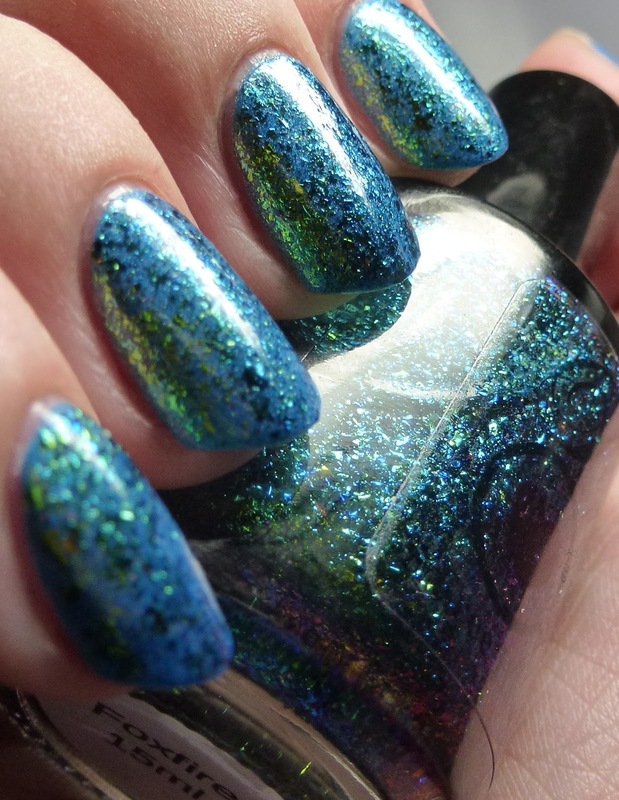 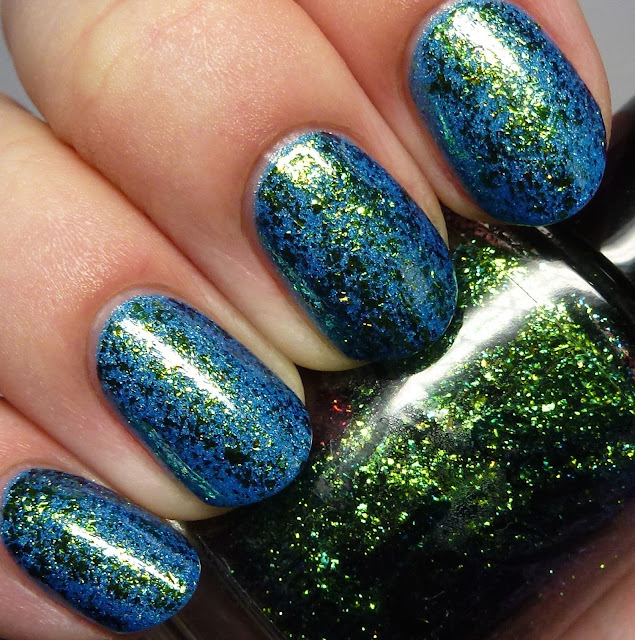 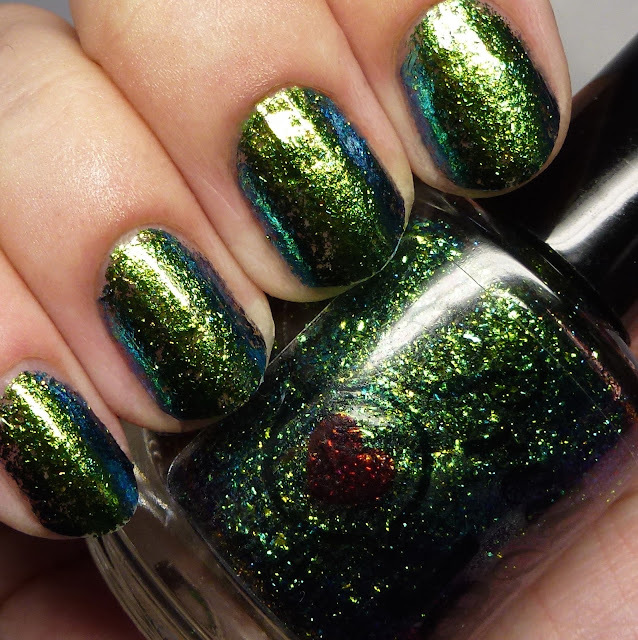 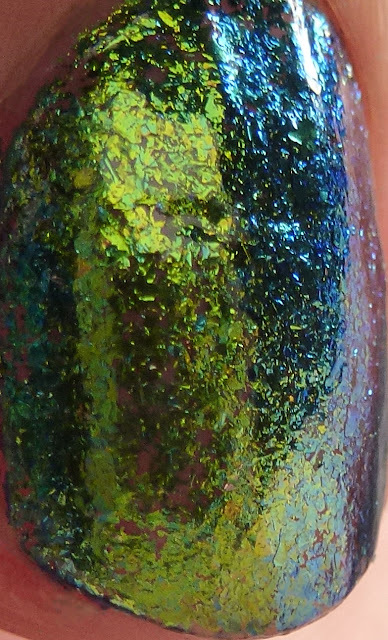 Foxfire is a green-to-blue multichrome flake in a clear base. 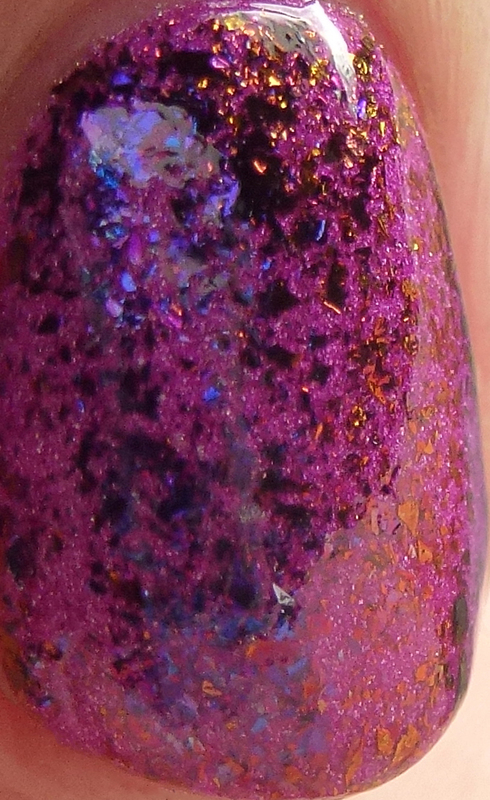 It is shown here with one coat over Pretty Jelly Nail Polish Recess and sponged to opacity on its own. I love the flexibility of these and how they take on different effects depending on how they are layered. After trying these I also bought all the other six colors in the collection! 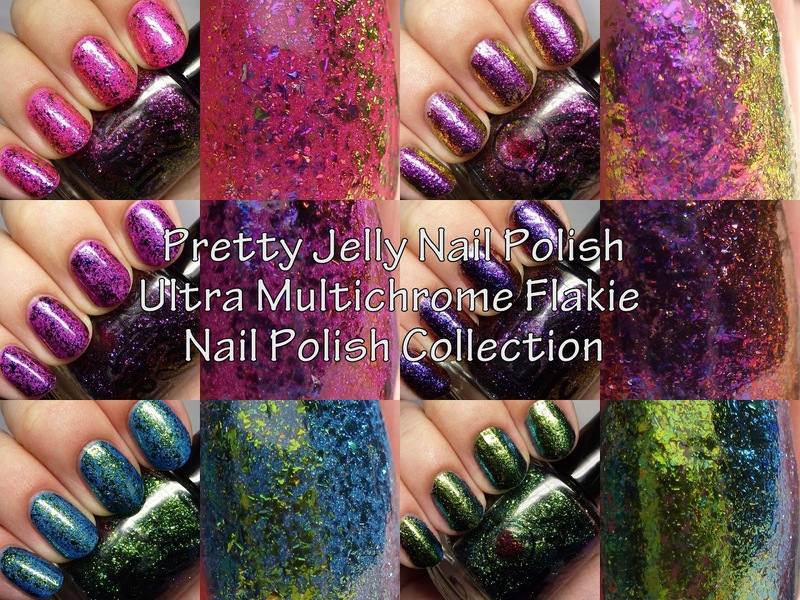 The quality of Pretty Jelly Nail Polish makes this collection a great choice for this type of topper. The collection contains 12 polishes total, and can be purchased as a set for $135 in full size or $54 in mini size. 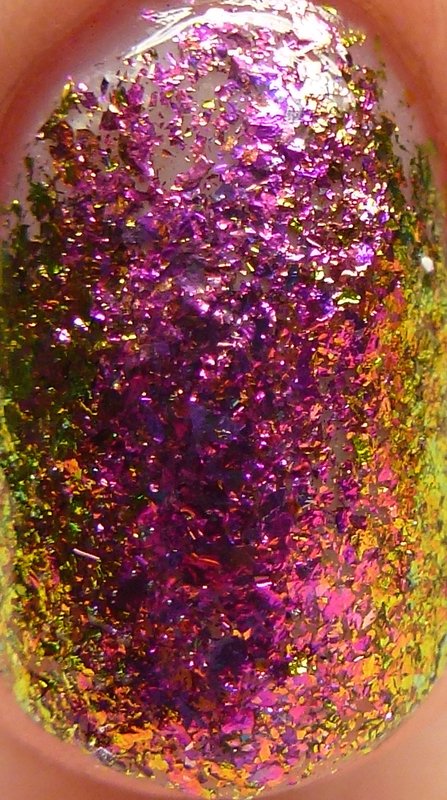 Individual bottles cost $12.50 for full size. 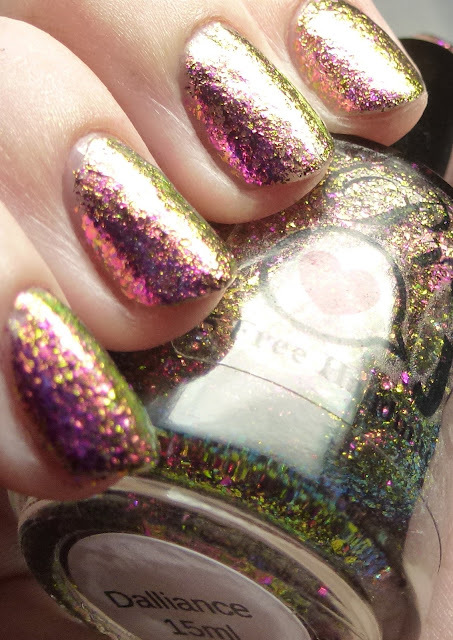 What do you all think of multichromes flakes?